Safety at sea starts with a reliable engine. When the sea gets rough, the last thing you want to worry about is losing power. For peace of mind while afloat, you can rely on Shaw Diesels’ marine engineers to properly install and maintain your on-board propulsion and power systems. Marine engineering is a specialised field where experience counts. Vessels and lives can be put at risk by overlooking details that would not be thought of on land-based equipment. Fuel supply, electrical systems, ventilation, cooling, exhaust and service access must be carefully considered to ensure absolute reliability under all circumstances. Keeping your engine reliable and performing at peak efficiency revolves around regular servicing. Our commercial customers get their engines serviced at specified intervals while many of our recreational customers come to us for an oil change and winterising treatment at the end of the season and a check-over in spring. Marine engines and transmissions are often mounted in confined spaces with limited access. When things cannot be easily accessed they can get overlooked. We have the experience and equipment to check and service even the most difficult installations. As part of our service, you will receive a detailed checklist of what was done and any suggestions for future maintenance, keeping you and your insurance company happy. Although we are Gardner, Lister Petter and Deutz agents, our engineers are also experienced in servicing all brands of marine diesel engines, from 5 to 5,000 horsepower. Talk to us today about your engine. Access requirements to ensure that maintenance can be done efficiently. 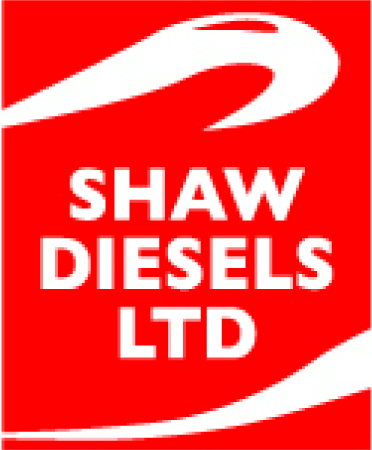 All installations are performed in accordance to best practice and with Shaw Diesels’ unrivalled attention to detail. Part of our installation procedure involves sea trials where we tune your engine to perform its best. If you have fitted a new propeller, trim tabs or significantly altered your boat we would also recommend a sea trial to ensure your engine is performing to its specifications. As well as being agents for Dong-I marine gearboxes and steering systems, we also install and maintain all other brands. Servicing can be included in your regular maintenance schedules. If you need the services of a specialised, highly experienced marine engineer outside of New Zealand, Shaw Diesels’ personnel are available for service work and emergency repairs throughout the Pacific. Mistakes made by untrained engineers in foreign ports can be very expensive. 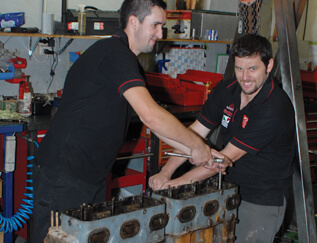 Eliminate the possibility by having our team service your engine to the same high standard you expect at home.